It's only Tuesday, and I'm already a day off this week. Mike and Jake spent the weekend at a conference for the Wisconsin Falconer's Association (more on that later), so I didn't get my usual work finished. The little guys and I did make some time to play around with the essential oils and we came up with a scent we all agreed smelled like Spring. It's below zero and snowing outside, but we're all dreaming of fresh air and warmer weather! It's surely right around the corner, isn't it? 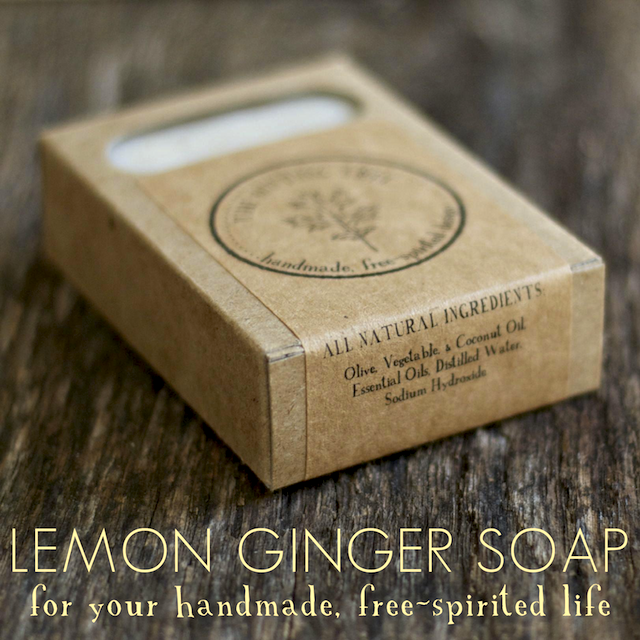 The oils are a mix of lemon and sweet orange, with a hint of clary sage and ground ginger. The fresh, invigorating scent immediately takes me back to spring time on my grandma and grandpa's farm in Iowa. The white lace curtains blowing in the breeze, the fresh scent of new earth and green growth, and the sweet citrus from her homemade cleansers. We mixed some of the oils to make our own homemade cleansers, and some of the oils I used to make handmade soap for the shop. Add 15 drops of your favorite essential oils. Tea tree, lemon, and other citrus oils are wonderful for cutting through grease as well as being antibacterial. Shake well before each use. Spray liberally. You do have to use a bit more elbow grease with homemade cleaners, but you aren't left with any toxic chemicals or fumes! What scents remind you of spring?